I’m thrilled to tell you guys about the latest, new company we’ve come to love- Goosewaddle! Goosewaddle offers luxury baby blankets and loveys in ultra-soft, micro denier polyester. The product line comes in three colors: pink, blue and white, and is trimmed in satin. These premium blankets are so soft and cuddly that I want to snuggle up with my babies for a nap! 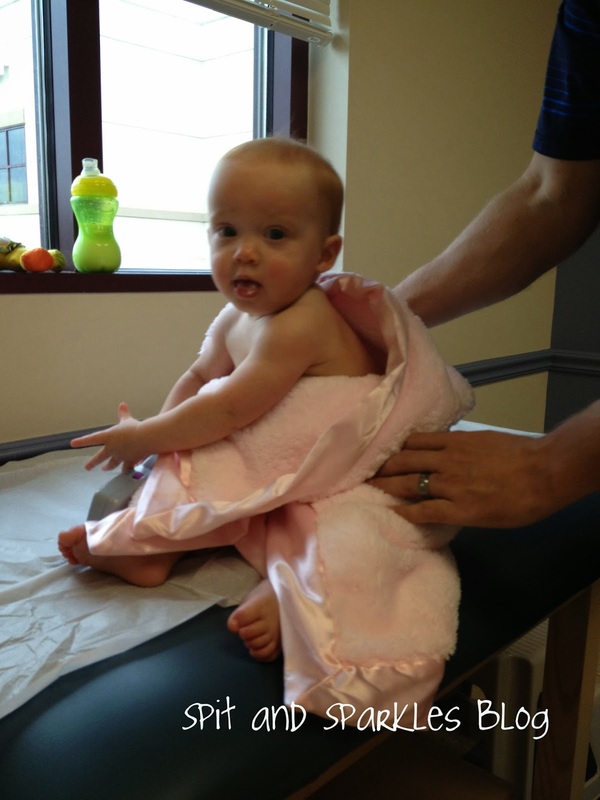 Lynley received a blanket (29×35) in pink, and we wrapped her up in it during a doctor’s visit. It was the perfect blanket to bring along with us because they always have us strip the babies down to their diapers, and it’s just so cold in those offices! She was very curious about the texture of the blanket, and kept “petting” it! Baby-approved softness! 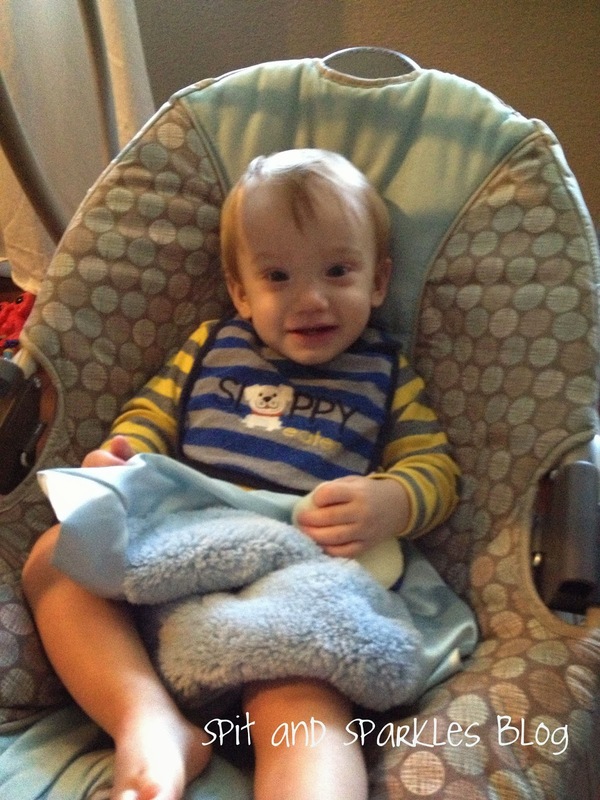 Corbin received a blankie (14×14) in blue, and I was so glad that this is what we were sent for him. He loves to sleep with little loveys, like this. He has a blankie/horse doll that is so crunchy, yes really, from him biting.sucking on it all night! Now, I have a second blankie to offer while the other is washing. This has been wonderful. 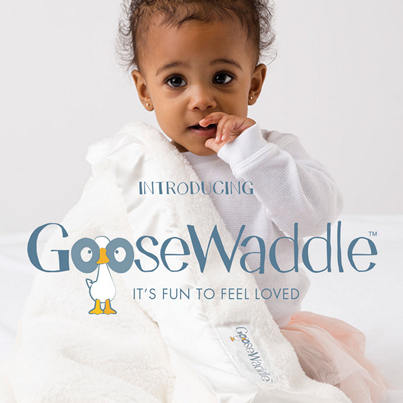 Goosewaddle truly offers a new level of comfort, and they’re helping little ones sleep tight and stay warm worldwide! I love the fact that this company gives back. 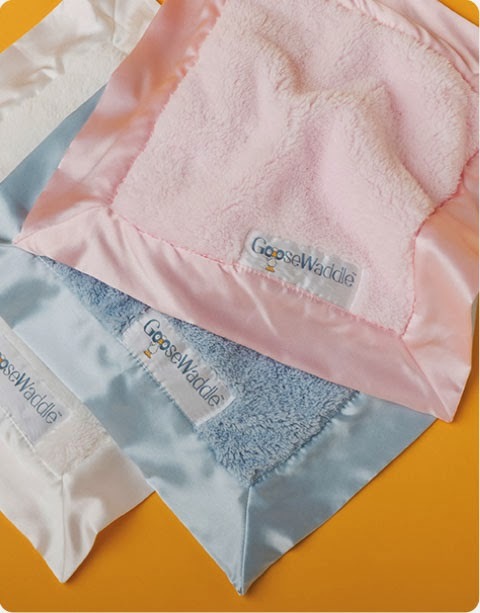 For every blanket that is purchased, the Goosewaddle team donates a receiving blanket to a child in need, as part of their Buy 1, Give 1 Campaign. And, one of my lucky readers will receive a full-sized blanket! Earn entries below, and good luck! There are other ways to enter! Earn more entries, by voting for us on Top Baby Blogs! You can do this daily, and please leave a comment saying that you voted. Or, follow me on Pinterest, and pin this image on (you can use the hover feature). Leave a comment telling me you follow, and let me know your profile name and the link to your pin! **I received Goosewaddle products free of charge in exchange for an honest review. I received no other compensation, and all opinions are my own. I only support and recommend products and companies that I believe in. ENTER TO WIN in another great giveaway- $1,000 CASH Christmas Giveaway. I found your blog on Hearts and Hands more than Full. LOVE it!! Good luck Megan, and thanks for visiting us from More Than Full! Happy to have you here. Hi! Voted for your blog and pinned to pinterest- username is dahliamonkey and link is http://www.pinterest.com/pin/411375747184249119/ Saw your giveaway listed on twitter and it brought me here! Looking forward to following you! Hi Rebecca! Thanks for visiting, entering and following along! Very best of luck to you.